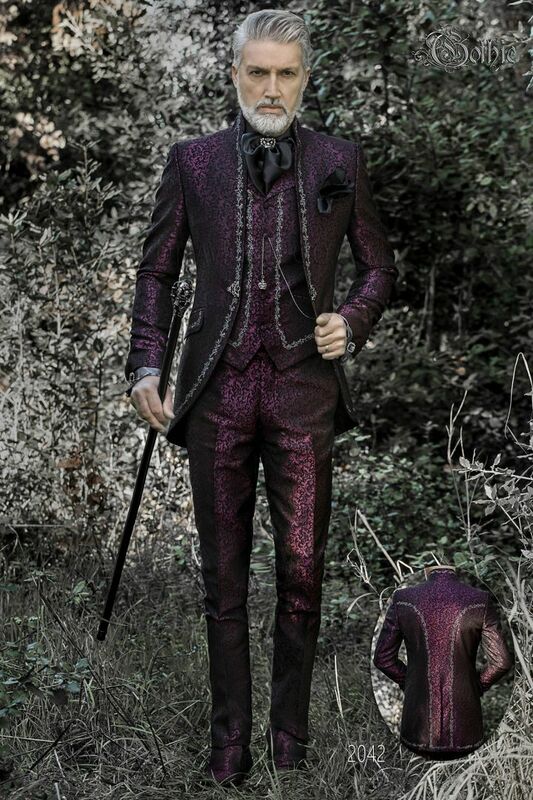 Purple brocade italian luxury groom suit with silvered embroidery and mandarin collar. Silver-black embroidery on the fr... Purple brocade italian luxury groom suit with silvered embroidery and mandarin collar. Silver-black embroidery on the front, rear, collar and pocket flaps. Single rhinestone frog closure. Redingote-style seams and single vent at back. Angled flap pockets. Black satin Plastron Tie and Handkerchief Set Handmade.